An important question regarding rapid climate change concerns its likely effects on violence. Rapid climate change is likely to produce sociological, political, economic, and psychological changes that will increase the likelihood of violent behavior. This article examines relevant theory and research. We examine three lines of research: (a) how hot temperatures directly influence aggression and violence; (b) how rapid climate change indirectly increases adulthood violence proneness through its effects on physiological and psychological development; (c) and how ecomigration influences group-level aggression. 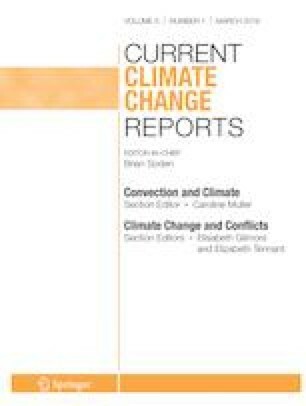 We also discuss arguments against the effects of climate change on aggression and violence. Research and theory reveal three ways that rapid global warming can increase aggression and violence. We describe a model showing the relationship between rapid global warming on antisocial behaviors and risk factors for aggression and violence.